Pediatric rehabilitation medicine is a small but far-reaching field. 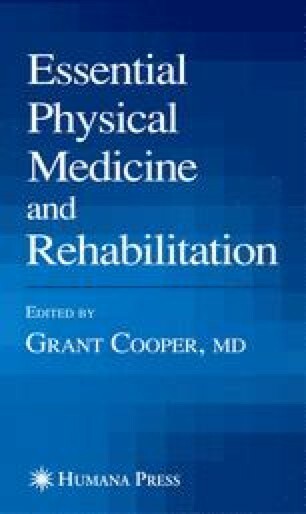 This chapter aims to introduce the reader to the common diagnoses encountered in pediatric rehabilitation and to review common therapies and complications. Many of the diagnoses are best managed by intradisciplinary treatment teams, including a pediatric physiatrist and other appropriate professionals (pediatric therapists, neurologists, neurosurgeons, orthopedic surgeons, urologists, psychologists, orthotists, educators, developmental pediatricians, social workers, nurses, etc. ).